Our cottage is located in the middle of Lamorteau, a small village at the southerly part of Belgium in a region called « La Gaume » . This is a land of « cuestas » (hills) going from East to West offering nice landscapes. The cottage is a stone-built house dating back to 1782 which has been carefully renovated keeping the old typical rural style : local Lorraine fireplace, oak ceiling, local paving stone (village of Latour) and walls in local limestone. This old style house is modern furnished and offers comfort and well-being over more than 100 m². The cottage is totally independent from the owners. In the heart of the Gaume region, you will find our countryside cottage (rated “3 épis” – ears) in an old typical village house completely renovated. 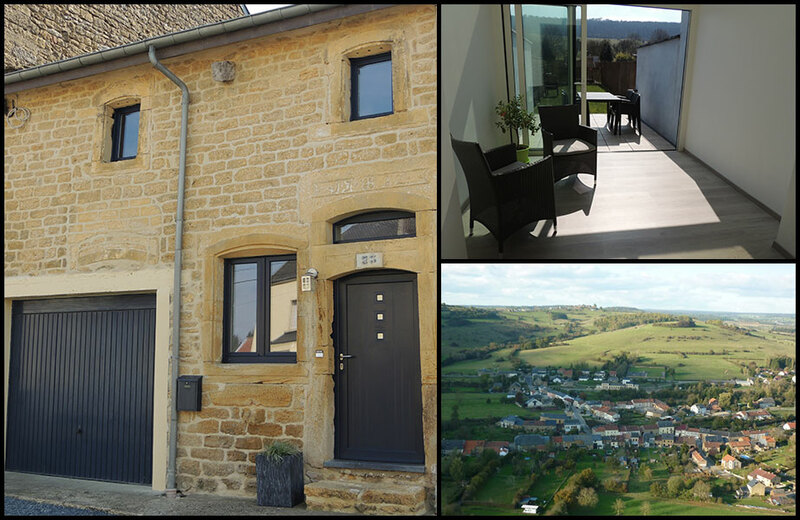 It is ideally located close to the famous village of Torgny and the French and Luxemburgish borders. Come and relax in these nice surroundings close to nature.